Barlow didn’t apply. I don’t think she’s a Cllr, at least on the Unitary Council. She stood in Central Hove in 2011 and finished behind Con and Greens. Is n’t “the highest proportion of pensioners” in the description rather out of date? SBJME19 – short answer is yes, Hove doesnt have a high proportion of elderly at all these days. Will change in the next update. Andrea, apologies as for some reason I thought she had got elected in 2011. Peter Kyle won Labour selection. Simon Burgess was an unsuccessful candidate for the Labour selection. He stood in Brighton Kemptown in 2010. How much impact both here and in Brighton Kemptown does anybody think the Green council mess-up (no pun intended) will have on their chances to build upon their current vote share? The performance of the Green council would be highly relevant in the Green held Pavillion seat, but equally irrelevant in the Tory/Labour marginals of Hove and Kemptown. Hove has clearly been trending towards Labour over the past 20 years, and I’d expect a Labour gain here even if (for the sake of argument) the Tories had a narrow overall lead in the popular vote in 2015. I’m surprised that the Labour nomination here was not by AWS. No they do that in gritty Northern seats. How do we think things could end up in 2015? Will the Green council fiasco have much bearing on the Greens here or not? Does anyone think like with Brighton Pavilion Tories will vote Green to keep Labour out and the expected numerous LD defectors to go more to the Greens than Labour? Hopefully Keith Taylor will stand here or in Brighton Kemptown. Christopher Hawtree was selected for the Greens in Hove a few months ago. You really don’t get this tactical voting thing do you? Brighton Pavilion, especially in 2015. There are other constituencies as well where this may happen. There’s a slight difference between the position of the Conservatives in this seat and in Brighton Pavilion. Can you spot what that is? But you said it would happen here too, which is clearly incorrect. There is nowhere else the greens are favourites to outpoll the tories save perhaps Norwich South (again at a push), so don’t understand why you mention other constituencies. You went back horribly in Holborn (2/3 of your vote!) and Depford at the last election despite two high profile candidates in Johnson and Bennett. In Bristol west we have 5 times your vote and done quite well in the Clifton area recently. The reality is that the far-left ideology is well suited to one or two particular seats but does not have the breadth of support that a more ecologically based party did. You have no chance whatsoever of outpolling the tories in either Bristol West nor Holborn (which has a core tory vote). Absolutely none. Deptford is possible with both parties < 10%, but very, very unlikely. Far left-wing, not really- the Greens are pretty much Old Labour. Consequently it really does surprise me that we poll so low. Especially in the staunch lefty areas and trendy lefty areas particularly in London, we’ll be able to do quite well in 2015? In the Bristol W locals, we came a very close 3rd far above the Tories and considering it’s a LD seat, don’t you think this will translate into good 2015 results? Also, Natalie Bennett’s profile has improve a considerable amount since becoming leader- this should help to reverse the decline. Especially with Tories wanting to keep Labour out wherever they can and the LDs suffering massively in the true liberal areas, don’t you think they would support the Greens in areas like H&StP? Plus surely not all LD defectors will switch to Labour, especially with their recent commitment to austerity and, for some, lacklustre opposition. Possibly the Manchester seats- esp Withington? I’d say there’s great potential for taking LD/Tory votes here- Labour inevitably won’t score more than 60% in any seat and so won’t be able to take much of the LD vote in seats with an already high Labour vote. 1) That Bennett’s profile has improved a ‘considerable amount’. Really? I’m a political junkie – as all must be here – but I haven’t seen much of her at all. There’s a consensus that she’s no Lucas. Honestly, alot of people I know just think she’s a lightweight. And I don’t have my own opinion because, well, I haven’t seen anything of her. All I’m seeing right now is evidence of a Green decline – in Reading, where I am, their growth has now stalled. Though I stand prepared to be reversed come the next elections in 2014, but I’m not seeing any evidence nationally of a turnaround yet. 2) I’m the one who calculated the local election results for Withington. Whilst the Greens got 10% of the vote in 2012, that’s only 3.8% up from the locals in 2010. They’re also elections there in 2014, but I would have expected a stronger showing in 2012 if they’re on the way to making the kind of breakthrough there you seem to be expecting. Especially since 2011/2012 must surely have been the nadir for the LDs. Van Fleet, I doubt the Greens will get enough proper votes for this, more a decreased Tory LD vote which was already low could boost the Greens to second through the middle. Plus in true liberal LD areas, the Greens could take Lab votes if Lab had no chance as well as much of the LD vote- maybe even some Tory ones if they reckoned we had an outside chance and wanted to oust the LD. Are we still talking about Withington? Because in 2012, 25% of voters still stuck with the LDs. That’s still extremely bad for the LDs, and it explains why I think Withington is one of Labour’s certain gains. But, even in 2012, when the LDs were at their worst, they still outpolled the Greens by 15%, and a general should prove better for the LDs than midterm locals. And there’s no area in Withington that Labour don’t have a chance of winning – every single ward there returned a Labour councillor in 2011 and 2012. The Greens will not come second in Withington. Not even close. Unless the Greens have a kind of UKIP surge, and even then it would be pushing it. I think though that the Greens may take over from the LDs here come 2015. Would you agree? Maybe. The last election here was in 2011, and the Greens outpolled the LDs by a considerable distance in this seat. However, that was then, this is now – the Green brand has lost alot of its sheen in Brighton and Hove. It certainly is possible, but the Greens will need to make sure they choose a candidate who can do his or her best to rise above the trouble the council’s in. So were they the only points you took issue with? I don’t know a thing about Bristol West, so I can’t comment on that. 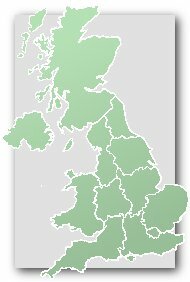 Your theory that Tories will vote tactically Green to keep Labour out is one I can’t get behind – there are so few Green-Labour marginals out there to make a case that this will somehow engineer a breakthrough, and in anycase in the recent by-election in Brighton P Tory voters, from all I heard, voted tactically Labour (!) to kick the Green out. In anycase, you assume the LDs are going to sink so low that the Greens will become the new alternative for Tories looking to vote tactically – you are overestiming the LD decline, in LD-Labour marginals, the LDs will remain the alternative in most areas, and they’ll be the target of tactical Tory voters. Yes, not all LD defectors will go Labour. Some are going Tory, others are going UKIP, some are going Green, some aren’t bothering to vote. And as for the Manchester seats, please check the threads on them. I’ve calculated all of the local election results there, and Manchester is on its way to becoming a solidly Labour city. No real opposition to them anywhere in the city limits. I don’t know if you’re a Green Party member, but you’re really overestimating their fortunes right now. UKIP have the wind in their sails right now, and even they are not making the kind of breakthroughs you’re predicting for the Greens. The fact is, the Greens have gone nowhere really since Lucas became an MP. The media has totally shone the protest-party light on UKIP, and the Greens have been totally pushed to the sidelines. Hove will be a Conservative Hold with a majority of about 9000. I can see this seat becoming a safe Tory seat again a la Putney 2010. Can I have a puff of whatever you’re smoking? on what basis do you make that prediction? Yeah Portslade is really going to vote Conservative en masse. Brighton and Hove have seemingly become far more marginal over the years. there’s no “seemingly” about it. It’s clearly true. Indeed Brighton Pavilion is going out the other side & is now an almost hopeless seat for the Conservatives, though they’re not quite dead there yet. I haven’t followed the trends here particularly but I suspect this will be a marginal seat for some years to come. Certainly a 9,000 majority is completely pie in the sky. I honestly don’t know how Christian came up with that strange prediction. If the Conservatives hold it would probably be by a small majority anyway. The Guardian today reports that Labour are intending to appoint a “Community Organiser” in this seat. See my posts today for the two Brighton constituencies.